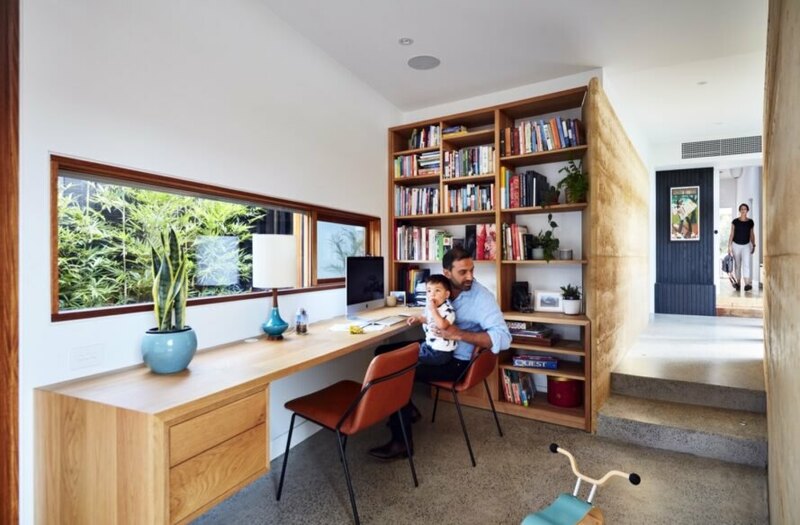 When a growing family needed extra living space, they turned to Australian design studio Steffen Welsch Architects to create an eco-friendly extension for their California Bungalow home. For the main construction material, the architects used rammed earth — a material with low embodied energy and high thermal mass — and created an arced extension that curves to capture warmth and light from the sun. Passive solar principles also largely dictated all parts of the design process, from the zoning and layout to the material selection and building form. 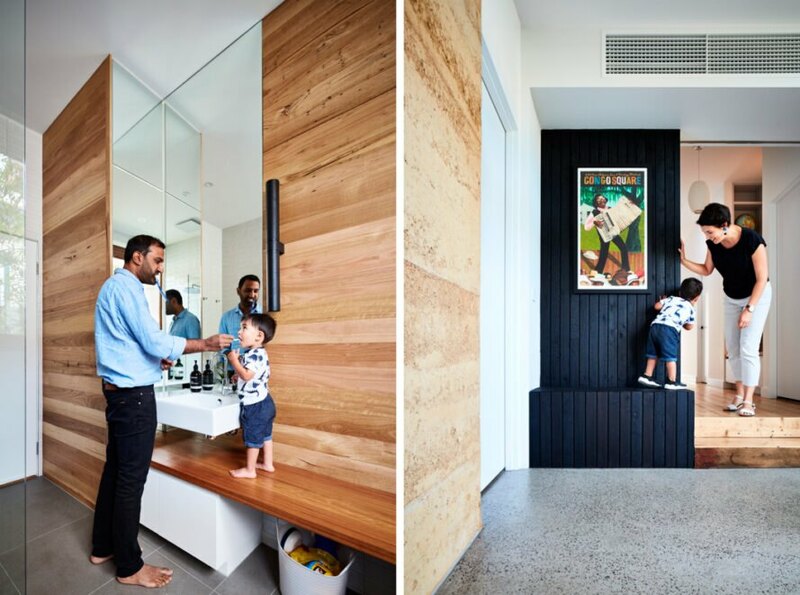 Located in Melbourne, the family home and extension — nicknamed ‘Down to Earth’ after its rammed earth walls — was created for a young family who enjoy entertaining and hosting guests. As a result, the brief called for low-cost operation, evolving privacy needs and future accessibility. Spanning an area of nearly 2,100 square feet, the single-story home is organized into four zones: an area for children and guests, a master suite for the parents, communal rooms and transitional areas. Each “zone” opens up to its own outdoor space. To ensure long-term sustainability and to minimize embodied and operational energy, the architects let passive solar principles guide the design of the building and chose materials with low embodied energy, such as rammed earth, and energy-saving properties, such as insulated glass. Operable windows allow for natural ventilation while the rammed earth walls and timber posts are left exposed to create a connection with the outdoors. 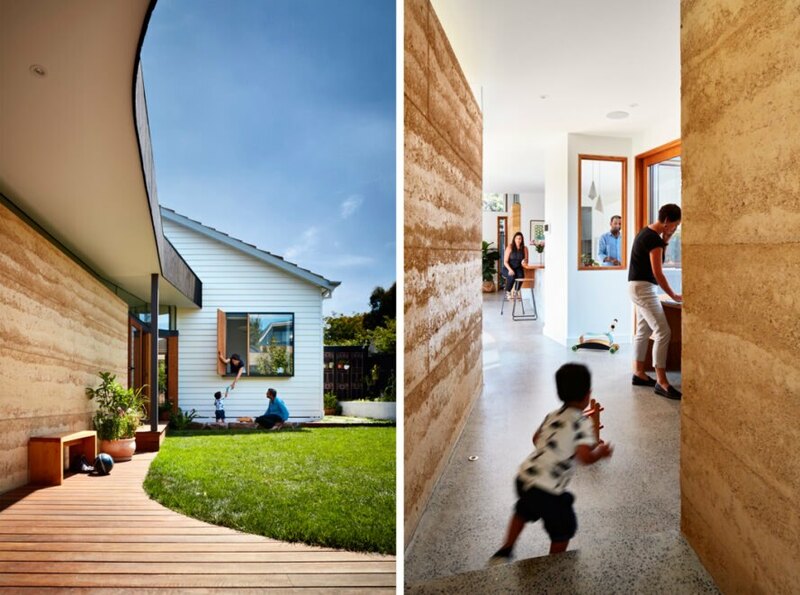 Steffen Welsch Architects designed an eco-friendly addition to a family home in Melbourne. The home's curved nature mitigates heat in the summer while letting in plenty of warmth from the sun during winter. 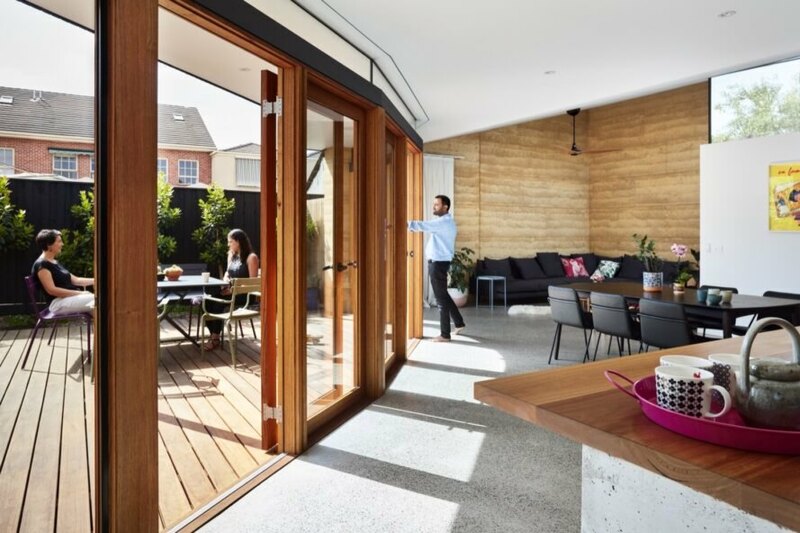 The extension opens up to a spacious outdoor area. The design includes four zones, all of which connect to the outdoors. 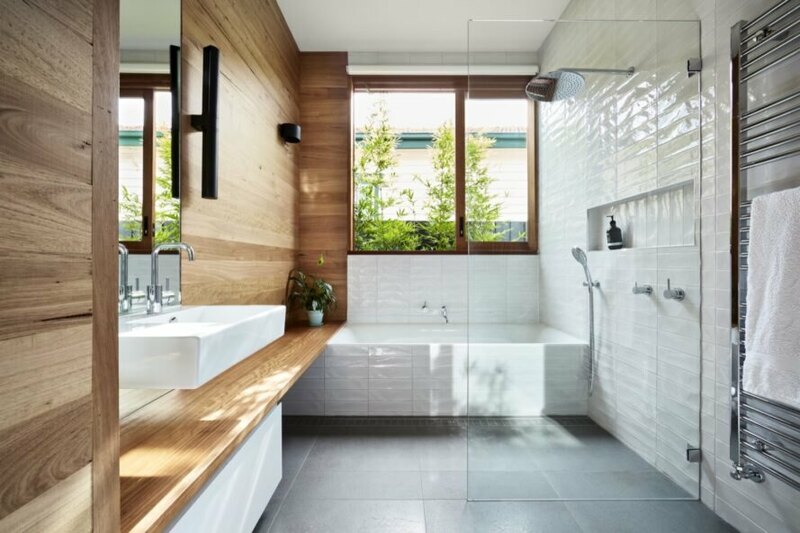 Serene features create a spa-like experience in the bathroom. The home functions perfectly for a growing family who love to host guests.